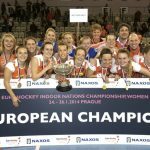 Final day here in Prague and for the fourth time ever in the history of the EuroHockey Indoor Championships we have a new name of the Trophy! The Netherlands! 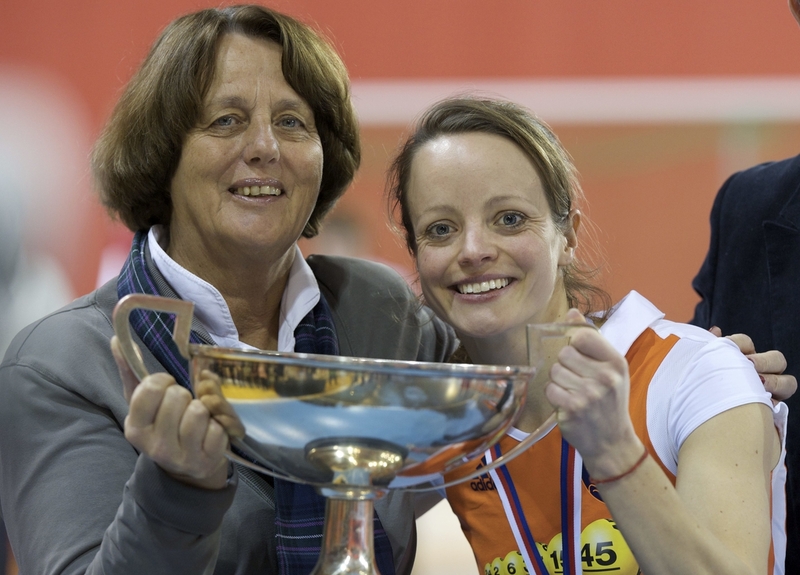 Since the Championship started in France in 1975 the German team has lifted the Trophy, apart from 1993 and 2010 when England and Ukraine respectively got the better of the Germans. A tight game in which the English needed a win to secure a World Cup place, a draw was enough for Belarus. Belarus opened the scoring via Shystskaya in the 5th minute. England equalised via Ansley as she recovered from a poor stop on a penalty corner. England defended for a good portion of the first half with some bravery on the line! England went ahead again in the 12th minute but within 2 minutes Belarus were back level. Belarus kept up the pressure and went ahead again before the half, leading 2-3 at half time. Belarus slowed the game down in the second half and that suited them better. England did equalise again, but it was Mikheichyk’s goal in the 37th minute that was the decider, and a final score of 3-4. Stale mate for the first half, with a few darting runs from Czech’s Paterson to test the French keeper. France went ahead via a short corner in the 31st minute, but the home side, cheered on madly from a very lively crowd, equalised in the 35th minute. The French keeper was off for the final goal, as only a win was useful to France and it was a easy second goal for Lacina just on the hooter to secure the win for Czech Republic and indeed a World Cup place. And so to the Bronze Medal game and both teams smarting from missing out on the Final, the Poles indeed being denied via a Shoot Out yesterday! The game had some tired legs as it’s always tough for players to come back to play a Bronze Medal game and pick themselves up from the enery expended in semi-finals. A low scoring game and Poland secured their very narrow win courtesy of a low drag from Slawinski. The Final was a lively affair with the Germans seemingly content to defend and not press the Dutch for a good portion of the first half. Patience seemed to be the order of the day, perhaps the lesson learned from their earlier Pool game defeat. Germany will rue their missed penalty corner chances. 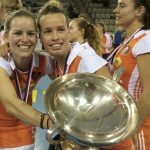 But the team of the day was The Netherlands, they worked hard and via Van Nes in the 15th minute, Zwinkeks at 27 and Vorstenbosch at 39 they staked their claim on the EuroHockey Cup!